The biggest news in Marvel film is the return of major properties to Comic-Con. The MCU left last year for a presence at Disney’s D-23. Scott Derrickson’s tweet was met by a corresponding tweet from James Gunn on twitter. Understandably the internet rejoiced and it was soon confirmed that both Gunn and Derrickson would be at Comic Con. They even gave us some sweet Doctor Strange Poster Art and gave us a first look at Mantis in gorgeous concept art. There’s only one other property that would warrant such a carefully planned social media exchange and that’s Guardians of the Galaxy Vol. 2. These are most likely going to be featured attractions in Hall H.
While there’s no confirmation, there’s hope that the identity of Captain Marvel, aka Carol Danvers might be revealed. There’s been no confirmation or hint at this beyond hoping and the rumor that Brie Larson is the Captain Marvel frontrunner. June has also seen a plethora of Spider-Man: Homecoming news. We can only hope that the Marvel panel might include a consolidation of information as casting news keeps rolling in for Homecoming. Could one of these panels hold the secret to our success? Needless to say that this year is shaping up to be a marvelous year for MCU fans. Most of these panels are most likely Hall H bound, and the potential for new information and surprises is endless. Marvel’s Agents of SHIELD has already made an entrance with a trolley wrap that’s generated a lot of sparks and a lot of conversation. SHIELD has traditionally had a big presence at Comic Con. The past two years have seen Shield join up with Agent Carter in a Friday panel in ballroom 20. Fans of Carter who have been following the #SaveAgentCarter campaign are hoping for an announcement that the show will be picked up by Netflix. Either way, with Agents of SHIELD as a major presence we’re sure to see a lot of Marvel’s television universe. From fan meetups to official panels, we’ve got it all right here for you. 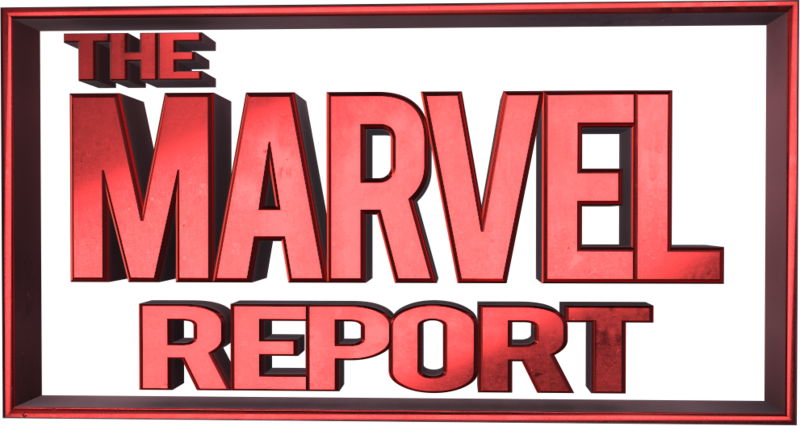 Follow along, check things out, and say Hi to any Marvel Report people you might happen to see along the way! This Week in Marvel: Live (11AM, Neil Morgan Auditorium). Marvel’s Luke Cage (5:45PM-6:45PM, Ballroom 20). Expected to Appear: Mike Colter, Alfre Woodward, Mahershala Ali, Theo Rossi, Frank Whaley, Simone Missick, Cheo Hodari Coker (EP), Jeph Loeb (EP). Cosplaying With Your Kid (2PM-3PM, Marriott Marquis Pacific Ballroom 24). Join Kim Henderson McAndrew and Scout McAndrew (9 O’Clock Bedtime Cosplay/raisingaheronotavillain.com), Shawn Richter (Gavin’s Dad) and Gavin Richter (Kid Coulson), Sage la and Michael Pomichter (CosPlay Michael/The Hangin’ With Show), as they discuss cosplaying with your kid, tips on how to get started, sources for assembling a cosplay and social media tips with Q&A to follow. Moderated by Anastasia Washington (Anastationtv/Legion of Leia). Marvel’s Agents of S.H.I.E.L.D. (3PM-4PM, Ballroom 20). Expected to Appear: Clark Gregg, Chloe Bennet, Ming-Na Wen, Elizabeth Henstridge, Iain de Caestecker, Henry Simmons, Jed Whedon (EP), Maurissa Tancharoen (EP), Jeff Bell (EP), Jeph Loeb (EP). The Writer’s Journey: Maximizing Your Exposure in the Marketplace (6PM, Room 32AB) Go see Marvel’s Agent Carter writer Brandon Easton! Dressing the Characters (11AM-12PM). The Costume Designers Guild Local 892 is thrilled to bring the designers of some of our favorite television characters to Comic Con. Terry Dresbach (Outlander), Ann Foley (Agents of Shield), Giovanna Melton (Agent Carter), Kiersten Ronning (Supergirl) and Luis Sequeira (Strain) will discuss the process of designing costumes for television characters no matter what world the characters live in. The panel will be moderated by Joe Kucharski Editor of TyrannyOfStyle.com. Marvel Animation Presents (12:30PM-1:30PM, Room 6A). Go behind-the-scenes into the world of Marvel Animation! Children of Tendu Live: Episode Two: Tendu with a Vengeance (2PM, Neil Morgan Auditorium). With a presence at NerdHQ, Camp Conival, as well as a presence at the brand new Con-X, Marvel seems poised to offer some healthy competition to their pals across the metaphorical pond DC comics, but it’s a tough comparison! Either way it’s shaping up to be a fantastic set of professional offerings for fans! What about the non-professional offerings? Here’s your list of meet ups and current cosplay gatherings. This will be updated as we get more information. @RenewAgentCarter will be in attendance continuing their #SaveAgentCarter campaign with fliers and postcards. Give them a follow for more information regarding the campaign. @CarterCorps will also be there with #PeggysPledge information, tattoos, and more available for hand out. Join these fantastic ladies for a discussion of the number one gal herself, Peggy Carter. CAPTAIN AMERICA 75 ANNIVERSARY FAN SHOOT: Calling all SSR agents! Calling all SSR agents! There will be a meetup Friday behind the convention facing the marina. All TFA and Captain America fans are welcome! An additional shoot will be organized for Saturday to coincide with the Marvel meetup! 2016 SAN DIEGO COMIC-CON INTERNATIONAL MARVEL FAN SHOOT: The Avengers Initiative – West Coast Avengers are hosting a Marvel photo shoot for Marvel cosplayers. This shoot will take place on the Mezzanine back steps on the far right, next to the San Diego Marriott Marquis and Marina. And there you have it! You are all set to have a marvelous time. We hope to see you there.